New Hampshire is an outstanding vacation destination for families with children of all ages. New Hampshire Inns, Hotels, and Resorts offer some of the finest children’s programs in the country. Families want vacations that are fun for everyone. After all, if the kids aren’t having a good time, neither will mom and dad. New Hampshire is also a great location for a Family Reunion. 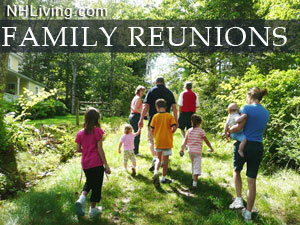 Ask us about NH Family Reunions or share your NH travel questions. To feature your business, contact us. We found a quick and easy way for you to find the Top Trip Advisor rated lodging in the NH Lakes Region. 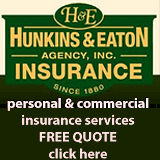 Find Plymouth, Laconia, Meredith NH hotel ratings and reviews. Follow the link below for the latest TripAdvisor Reviews, room availability and reservation discounts. Located just 2 miles from Cannon Mountain - this four season motel is nestled in the quaint village of Franconia with breathtaking views. Bordered by a sparking alpine stream the Stonybrook features indoor heated / outdoor pools, trout pond, game room, picnic area with grills, fireplace in hand-timbered lodge. AAA approved. Group rates and discount tickets available. New Hampshire White Mountains - we offer spotless, comfortable, relaxing non smoking rooms. We have a generous play area for kids, picnic area, AM coffee, Game Room, 5 golf courses and ski areas, and attractions surround us! Great views! You will be back! Visit our web site for information. The Swiss Chalet Village Inn offers comfortable lodging at an affordable price. Choose from a wide variety of rooms to meet your needs. Wheather you are here for a family outing, wedding, business or pleasure, you will find clean, comfortable White Mountain lodging. Pet Friendly Rooms available. Please inquire. This is one of the most important factors that will affect where your reunion is held, and what type of event you will have. When counting your family members, be sure to include spouses and to also find out if there are any new children in the family. How are your family members going to get to your reunion? Whether you or each one of your family members are going to pay the travel expenses, the best way to save a little extra cash is to plan ahead. You can research airfares and make lodging reservations online, as well as print out maps of the event area to make sure that no one will get lost. Choose a location that will accommodate a large number of vehicles, where you won’t have cars lined up next to the street. 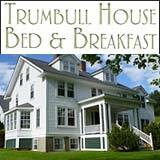 Consider “taking over” an entire New Hampshire Inn or Bed and Breakfast, A New Hampshire Hotel or Resort is another option. A large backyard may work for some families, while others may choose to rent out a restaurant, a dance hall, a campsite, or an event center. How long is your reunion going to last? If your reunion is going to be an all-day event, you will need to plan several meals for your family. An outdoor barbeque for lunch may work in several cases, and dinner at a local restaurant may be a nice formal event to include later on that night. Make sure that you have plenty of refreshments for young children. Where will everyone stay after the reunion is over, and what type of transportation will they need to get around town? If you are not including hotel reservations or transportation for your family members, send them each a list of local car rental agencies and hotels a couple of months before the reunion. This gives them some time to make their own reservations. You may also want to include a brochure of the area and local attractions, just in case some of your family members want to stay a little longer. What activities would you like to include? An awards event is always a great way to break the ice and to re-associate family members with each other. Give out prizes for the youngest and oldest family member, the couple who has the most children, who traveled the greatest distance to come to the reunion, etc. Create a crafts or game table where the children can keep themselves occupied when the adults are talking with each other. An easy way to provide plenty of activities for your family is to hold it at a theme park or historical site. After the reunion is over, send each family member off with an item that they can remember the reunion with, and be able to keep in touch with other family members. Create a family directory that includes names, phone numbers, e-mails, birthdays and anniversaries. Another great idea is to make a family recipe book for each family member and include whom each recipe came from.